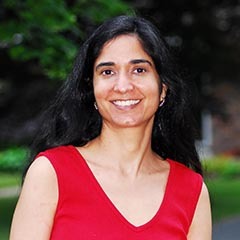 Special Guest Padma Venkatraman has lived in five countries, worked as chief scientist on oceanographic vessels, and even spent time scuba diving before becoming an author. Her latest novel, A Time to Dance (Nancy Paulsen Books, Penguin) was released to five starred reviews (Kirkus, Booklist, School Library Journal, Voice of Youth Advocates, and Bulletin of the Center for Children’s Books), and received numerous awards: ALA Notable, IRA Notable, Kirkus Best Book, NYPL Top 25, IBBY outstanding, etc. Her two earlier novels, Island’s End and Climbing the Stairs, were also released to multiple (seven) starred reviews, and were ALA/Yalsa Best Books, Amelia Bloomer, CCBC, Booklist Editor’s Choices, and won several other honors. She has spoken at Harvard and other universities; provided commencement speeches at schools; participated on panels at venues such as the PEN World Voices Festival; and been the keynote speaker at national and international conferences and literary festivals. Padma is American and lives in Rhode Island. Visit her at www.padmasbooks.com and www.padmasbooks.blogspot.com.